Why and What Do I Blog? I saw a Show on STAR Vijay TV Today which left me deeply disturbed. A show hosted by Mr.Gopinath of ‘Neeya Naana‘ fame, ‘என் தேசம் ,என் மக்கள் ” –My Country, My People” in STAR Vijay bares some uncomfortable truths. This programme is telecast on Sundays at 10 am where Social Issues are brought into focus. Some of the earlier issues related to Husnband Wife Relationship, Medical Costs. 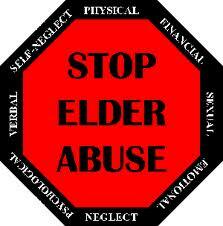 The present issue is the The Problems of the Elderly and The Aged. There were three distinct Groups in this issue. 1.Those who were sent to Old Age Homes by the Wealthy sons and Daughters. 2.Those who had no body to turn to but economically independent. 3.Those who were economically downtrodden. In the first category thee were two sub groups, one where the children were abroad and had no intention of returning to India and another where the children are in India and in some cases in the same city where the Elderly have been sent to. I will be covering the issue in a couple of posts with Statistics.
.* Statistics in this Post are from HelpAge India. I am also posting Statistics from Other sources. Contrary to popular perception, the sons were the main cause for dumping( I deliberately use the Term) and the verbal abuse of parents, and not the Daughter’s in Law! 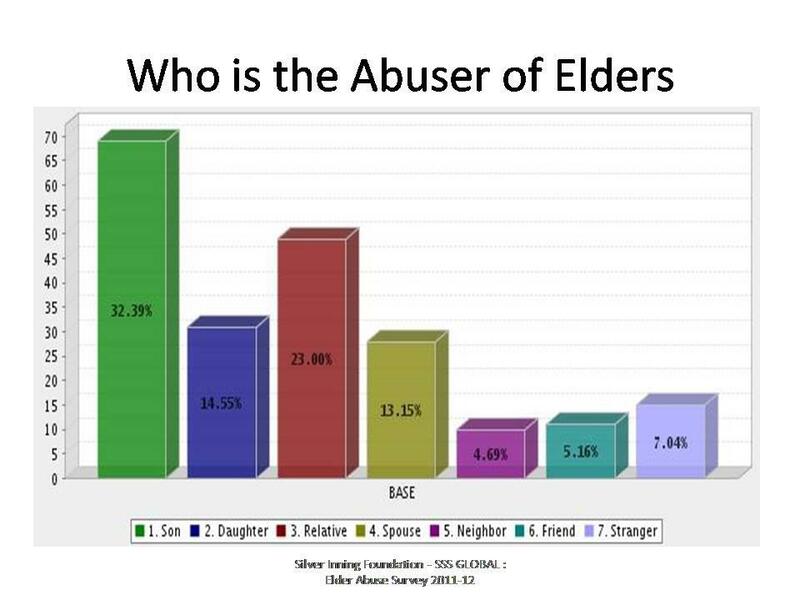 56 % of the parents were sent to Old Age Homes because os f sons and 23 % because of Daughters’ in Law. India has the second largest aged population the world. Currently there are an estimated 100 million elderly in India by 2050 it is said to reach 326 million (projections made by UN in their 1996 revision). 55 million elderly sleep on an empty stomach every night. 75% of persons of age 60 and above reside in rural areas. 1 out 8 elderly feel no one cares they exist. 12 million people in India are blind 70 – 80% of these are elderly. 62.6 % are blind due to cataract. 33 % are below the poverty line and majority of them are illiterate. 90 % have to continue to work if they have to survive. 6.5 million feel no one even knows they exist. Only about 11% of India’s workforce participates in any sort of guaranteed retirement income. Within the next five years, the number of adults aged 65 & over will outnumber children under the age of 5. India is said to be the World Capital for heart diseases. It is estimated that by year 2015, nearly 7 lakh elderly in India within the age bracket of 60 – 69 will die of coronary Heart Diseases. More than two third of the Oldest Old (80+) are financially dependent on others. Previous Mother Teresa Blog,Comment, Origin of The Bible. Nice post.Thank you for taking the time to publish this information very useful! I’m still waiting for some interesting thoughts from your side in your next post thanks. 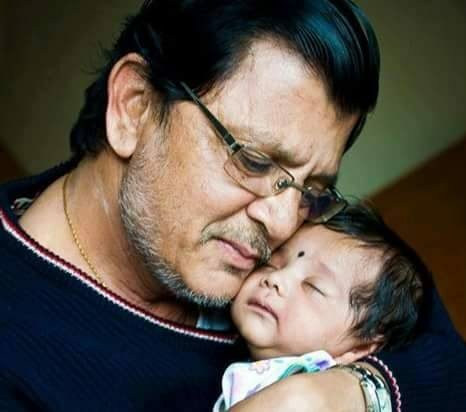 © S.V.Ramanan, and Ramani’s blog, All Rights Reserved. [ August 2009- December 2019). 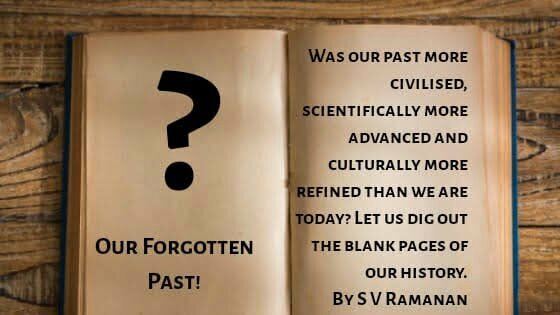 Excerpts and links may be used, provided that full and clear credit is given to S.V.Ramanan and Ramani’s blog with appropriate and specific direction to the original content. Request permission by mailing to me at the ID provided in ‘About ‘Page. For the first five years of the site’s history, it was handled through a blanket Creative Commons License that enabled anyone, without even asking, to use the content from this site. However, the blanket nature of the license began to attract many undesirable uses including spammers. If you wish to reuse content on this site, I have prepared a short form below to fill out and request it. Permission is not automatically granted upon completing the form, but most likely will be within 24-48 hours. Ramani’s blog has made reasonable endeavours to provide authentic information as far as possible . Please use the information in the blog at your risk. It is the policy for my website to respond to any notice of alleged copyright infringement. Wherever external information is used, Link and Citation has been provided: and if there is any omission, it is unintentional. If brought to the notice of Ramani’s blog, it shall be rectified. THIS BLOG/WEBSITE claims no credit for any images posted on this site unless otherwise noted. If you are the rightful owner of the material used by and you believe that your intellectual property rights has been infringed, I request you to send any and a proper notification. I will remove your content within 24 hours. I apologize for any kind of misuse of your material in my website.